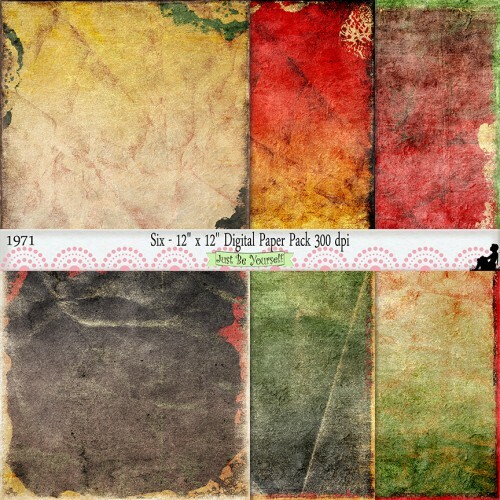 In celebration of Digital Scrapbooking Day, I am pleased to be able to offer my customers, old and new, 40% off all product in Just Be Yourself AND Just Be Yourself Too, now through Sunday, November 2nd. Just use the code DSD14 in the shopping cart before checking out. I offer both direct checkout and PayPal options for paying. USE COUPON CODE: DSD14 for 40% off all products in both Etsy shops! My first shop, Just Be Yourself, still features digitally painted printable (8.5 x 11 inches) art journal papers and collage sheets, but the 12 x 12 inch papers are also digitally painted. 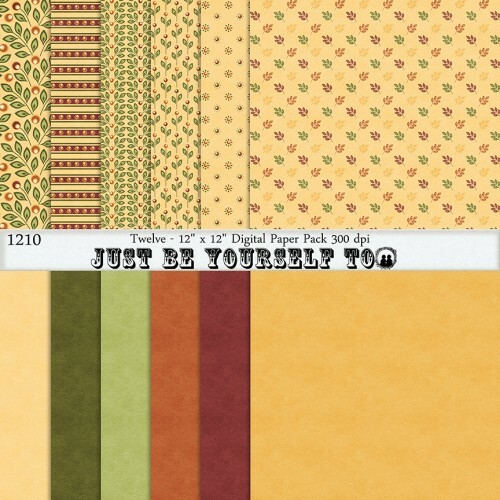 My second shop, Just Be Yourself Too, features personal use items, and at this time, I offer 12 x 12 inch patterned papers. I wanted to give my customers flexibility and an easier shopping experience, and also I wanted to continue to offer basic patterns in a wide range of colors. At this time, Just Be Yourself Too has close to 500 collections of papers and Just Be Yourself has almost 700…the papers in Just Be Yourself are for personal and limited commercial use.